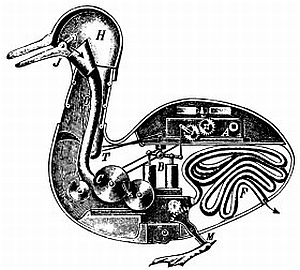 The stylistic genre from which Lady Cordelia’s inventions and story are born is inspired by early works of science fiction. The most famous authors of which are Jules Verne and H. G. Wells. The “steam” comes from the reliance on steam energy in the Victorian era, and “punk” comes from “cyberpunk.” These terms were combined by author K. W. Jeter in 1987 when describing Victorian fantasies that were just coming into popularity. 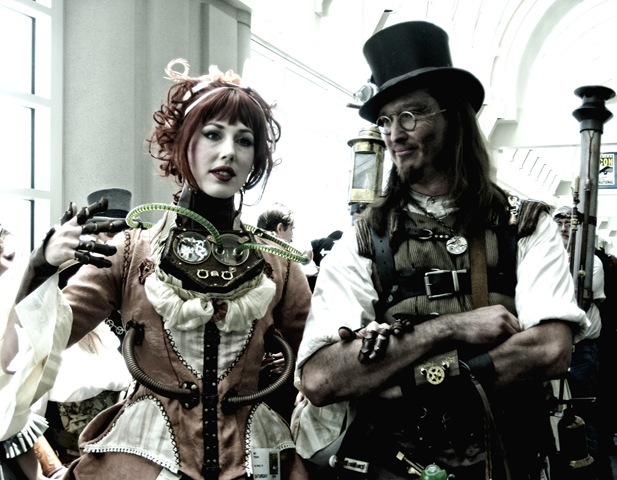 Pundits and purists will bandy about words like neo-Victorian, neo-Edwardian, dieselpunk, and cyberpunk when trying to pigeonhole fashion, art, and literature that contain the elements of Steampunk. Like biologists, Steampunk aficionados can be lumpers or splitters. And much like the species that biologists try to name, the true nature of Steampunk has evolved over time, becoming a continuum of aesthetics whose commonality lies in some fundamental features and a host of supporing themes. What attracts so many people to the genre are the fashion aesthetic and the gadgetry. What maintains interest is the sense of individuality, creativity, and eclectic fusion of styles. Whether you join in full cosplay (dressing up in costume and attending events as your chosen alter ego) or add a bit of art to your wall, you’ll invite adventure when you put a little Steampunk in your life. Steampunk has completely transformed my focus. It is inexplicably mesmerizing to me.